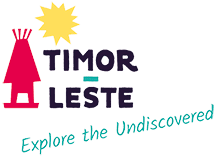 Timor-Leste’s compact size, scenic diversity and relatively light traffic mean mountain biking is an interesting and fun way to explore the country. That said, if you head inland, hills are extremely rugged and some of the steeper sections are brutal. Mountain biking in Timor-Leste is definitely not for the faint hearted. While a few places hire bikes in Dili and on Atauro for day use, basic bikes can be purchased in Dili for around USD300. If you are an enthusiast, it is definitely recommended you bring your own gear. For other information on mountain biking can be found at ataurotourism.org (maps, mountain biking information and route descriptions – Atauro) and trekkingeasttimor.org (maps, mountain biking information and route descriptions – Baucau, Lautem and Viqueque).